The same Jack and the Beanstalk you loved as a child, is back and more popular than ever in the Jack and the Beanstalk slot machine game. Opening with an enticing short film, the game begins with the scene of Jack attempting to sneak out of the giant’s castle, clutching with him the magic hen. With an ugly, two-headed appearance, the giant spots him and a chase through the clouds begins, leading onto the main part of the game. Created by NetENT, the famous company spared no expense when making this stupendous game. Featuring a winning combination of beautiful 3D graphics, realistic background noises and subtle animation included throughout, it’s no surprise that the popularity of this game is soaring day after day. 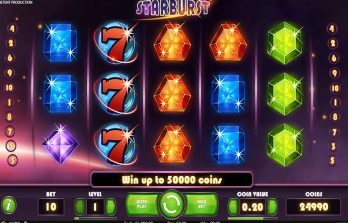 Below, we will discuss this video slot machine game, teach you exactly how to play and give you an insight of whats in store for those that choose to play. Based on the traditional fairy tale, follow jack as his chase through the clouds, as he attempts to win back the golden eggs from the evil giant. With 5×3 reels and 20 pay lines, the animated games features and exciting ‘Walking Wilds’ bonus game, designed solely to increase your earnings. With the ability to be played on a range of operating systems including Windows, Macintosh and Linux, this action-packed adventure game is suitable for almost every player. On activation of the Walking Wilds bonus game, enjoy the sound of adventurous fairy-tale music and other realistic sound effects allowing you to engage with the game on a deeper level. Featuring beautiful graphics, the reels and pay lines include a background of simple animation, keeping you entertained throughout the duration. The symbols used in the game are an interesting mixture of objects from the traditional fairytale; including axes, watering cans, the two-headed giant, a jewel ladened treasure chest and even Jack himself. Surrounded with vine, the high card symbols are a popular find throughout the game. With the highest value symbols naturally featuring Jack, smaller values are also achievable presented as curly vine crafted letters of J, Q, K and A. 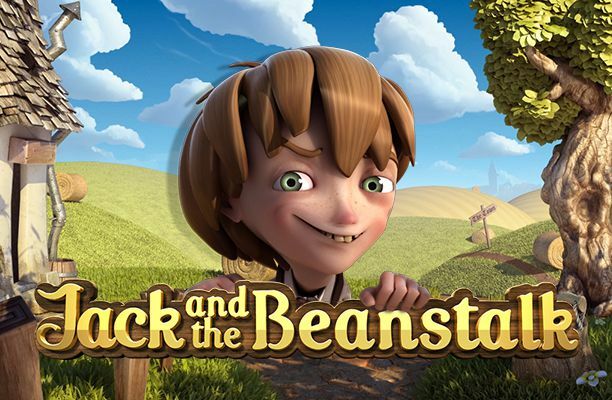 Featuring 10 different levels, the Jack and the Beanstalk slot machine game can be played in online casinos and betting shops around the UK. The basic rules of Jack and the Beanstalk are simple, containing twenty win lines and five reels, the style depicts an original slot machine as the reels spin slowly to a stop. To begin, choose the stake you’d like to play with; a variety of options are on offer ranging from 0.01 to 0.50 – ideal for those who are hoping to achieve a larger cash win. Obvious from the title of the game, Jack and the Beanstalk is based on the traditional fairytale, with a variety symbols representing different values, enjoy the nostalgic appearance of the two-headed giant, a single watering can and even Jack himself. Throughout the duration of the game, there is the potential for the walking wild symbol to make an appearance; each time the symbol appears, a certain amount of free re-spins will be awarded to the player, each one with the potential to increase the multiplier of your final prize. The symbols of lowest value are the watering can, the goat, and the two-headed giant. The highest value symbol achievable in the game is, of course, Jack himself. Boasting the option Auto-play, the user-friendly design lets you play with effortless ease, allowing you to select your number of bets right at the beginning. With advanced settings available to those who want to stick to a certain budget, players can rest assured that the game will come to a stop once their maximum bet has been reached. Once you’ve chosen your ideal stake, number of playable lines, and decided for or against the auto-play feature, simply sit back, relax and enjoy the game. Walking Wild: On the appearance of the wild symbol, look forward to a free re-spin coming your way. Setting this action-packed slot apart from the rest, Jack and the Beanstalk is one of the few slot machine games that offer this generous feature throughout the entire game. With a vast amount of regular payouts offered throughout the base game, the standard 3x multiplayer is a sure way to get the cash flooding in. While some players are knocked out the game before triggering the free-spins, if you are lucky enough to win the advantage you may just be one of the select few that makes it to the very top of the beanstalk. During the re-spins, there is the potential for additional wild symbols to be awarded, each addition bringing with it larger payouts. Free Spins Bonus: If three or more Treasure Chest icons appear on the reels at one time, the free spins round will be automatically triggered. A generous amount of ten spins is awarded to any player lucky enough to accumulate the chests, with the added bonus of the walking wild symbol having the potential to crop up throughout. 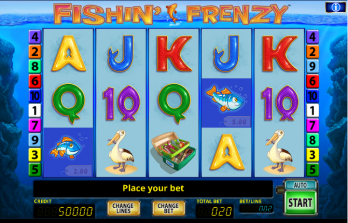 There is no limit on the number of re-spins that can be granted, meaning that the more wild symbols that are collected, the higher the multiplier on your final cash prize. Treasure Collection: Throughout the duration of the free-spins bonus games, keep an eye out for the key symbols. If 3 keys are accumulated they automatically get replaced with money bags. If any player manages to collect 6 keys or more, they end up turning into either golden hens or harp symbols, enabling payouts to be as much as 50x your initial bet. 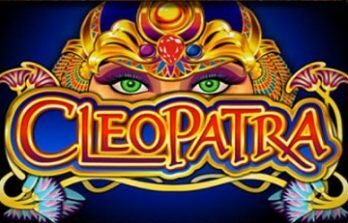 With an enticing array of bonus games, nostalgic childhood symbols and great winning potential, this traditional video slot is ideal for slot fanatics and novices alike.